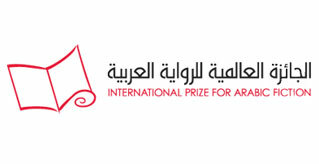 The International Prize for Arabic Fiction (IPAF) has today (Monday 12 January 2015) revealed the longlist of 16 novels now a step closer to winning the 2015 prize. Those selected were chosen from 180 entries from 15 countries, all published within the last 12 months. The 2015 longlisted authors come from nine different countries, with the highest numbers from Lebanon and Egypt, with three authors apiece. A number of this year’s longlisted authors have appeared on previous IPAF longlists and shortlists. Two writers have been previously shortlisted: Jabbour Douaihy for The Vagrant (2012) and June Rain (2008) and Jana Elhassan for Me, She and the Other Women (2013). Amongst the authors previously longlisted are: Antoine Douaihy, The Bearer of the Purple Rose (2014); Maha Hassan, Umbilical Cord (2011), and Ashraf al-Khamaisi, God’s Land of Exile (2014). One of the longlisted authors, Mohammed Berrada, is a former judge of the Prize, having been on the panel in its inaugural year, 2008. Five women appear on the longlist, the highest number so far. 11 women have been longlisted for the Prize since 2009, the first year a longlist was released.